Whatever business you intend starting must come from within you. It must stir you up from the inside. However, you can also get some insights into what kind of business to go into by reading up on sample businesses like the series we are running now. 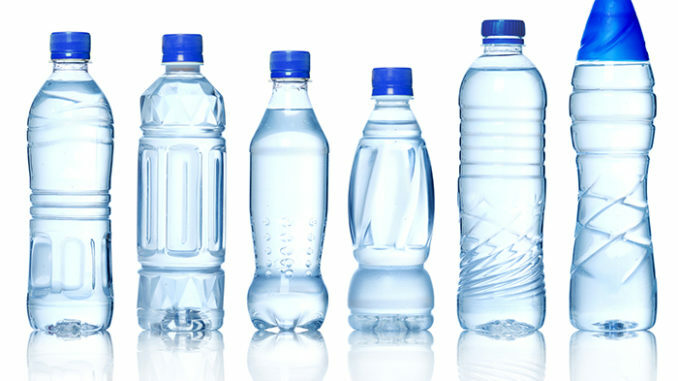 Water packaging business provides packaged water products to quench the daily thirst of people. This business is an evergreen type because it will continue to be relevant as long as there is human civilisation. Even as you read this piece, you might be sipping a packaged water product. The Earth has 1,386,000,000 km3 of water total but only 2.5 percent of that is fresh water (i.e. 35,029,000 km3 or 9,254,661,800 gallons of fresh water). Water is essential for the growth and maintenance of our bodies, and is an important component in the diet. The British Dietetic Association guidelines state that an average adult should consume 2.5 litres of water of which 1.8 litres (or 5 x 330 ml cans; 7 x 250 ml glasses) must be in fluid form, the remainder being obtained from foods. For children to maintain their correct water level of 60 to 70 per cent body weight, they need to consume up to 2 litres of fluid every day. This intake needs to be increased during periods of hot weather or during and after periods of physical activity in order to avoid dehydration. Dehydration is caused by consuming too little fluid and can cause symptoms such as headaches, tiredness and loss of concentration. Adults eliminate around 2.5 litres of water per day, through urine, perspiration and respiration. In children, this varies greatly according to the outside temperature, age and activity level of the child, as well as other factors. Children do not instinctively drink enough to replenish the fluids lost during prolonged activity or play periods and evidence has shown that they consequently become dehydrated. Research has shown that children are more likely to drink sufficient liquid to replace lost fluids and maintain hydration during activity when presented with flavoured beverages. What are our main sources of fluid in the diet? – Water produced in the body as a by-product of chemical changes that convert food into cell material (about 10 per cent). – Water is the major ingredient of all drinks, and a wide range of drinks is available to fulfill this role. – Carbonated and still drinks are 86 per cent water, dilatable drinks are 65 per cent water undiluted and 86 per cent when diluted, fruit juices are 90 per cent water and bottled and sachet waters are 100 per cent water. Water is classified as bottled water or sachet water (pure water) if it meets all applicable standards, is sealed in a sanitary container/package, and is sold for human consumption. Bottled/sachet water cannot contain sweeteners or chemical additives (other than flavours, extracts or essences) and must be calorie-free and sugar-free. Flavours, extracts and essences, derived from spice or fruit, can be added to bottled water, but these additions must comprise less than one percent by weight of the final product.